1994 was the year we saw the world through a simple man's eyes, learned what a Quarter Pounder with Cheese is called in France and that singing lions can stage Shakepearian tragedies. But the one film nobody saw coming that year was The Shawshank Redemption, a film that only a few short years later would be deemed one of the films of all time. Directed by Frank Darabount and based on a novella by Stephen King, this is the story of two convicts serving life sentences whose friendship gets them through the hardships of life on the inside. But does the film deserve the acclaim it got or does it deserve 2 months in the Hole? Eric, Kent & Lobster take a cell to find out. MovieDude Eric, Jonolobster & special guest Jeannie from Tyrion's Landing podcast discuss Jurassic World. MovieDude Eric and special guest Cesar rank their picks for the best films of all time. This video looks at #90-81. After suffering from what be his most monumental failure at the time, director Quentin Tarantino, feeling unsure of his future, did what anybody would do in his position, make his first big-budget feature featuring Brad Pitt as his main star (only to give him very little screen time) and a little-known German actor named Cristoph Waltz as his most iconic villain. Set in Nazi-occupied France, he set a stage of revenge, wish fulfilment and cinema that could only be named Inglourious Basterds. But does the film deserve the red carpet or a most horrible, violent death? MovieDude Eric, Kent & Lobster drop in to find out. MovieDude Eric and guest Cesar V. Go over their top 100 films they love. This installment discusses numbers 100 through 91. If you enjoy this video, please click the Like (Thumbs Up) button and Subscribe to this channel. You can find more geeky awesomeness at GonnaGeek.com, including new shows. Music on this episode comes from Kevin MacLoed (incompetech.com). While 1992 might have been the year of Kevin Smith and Quentin Tarantino, it was also a unique year for the Broadway/Hollywood actors. 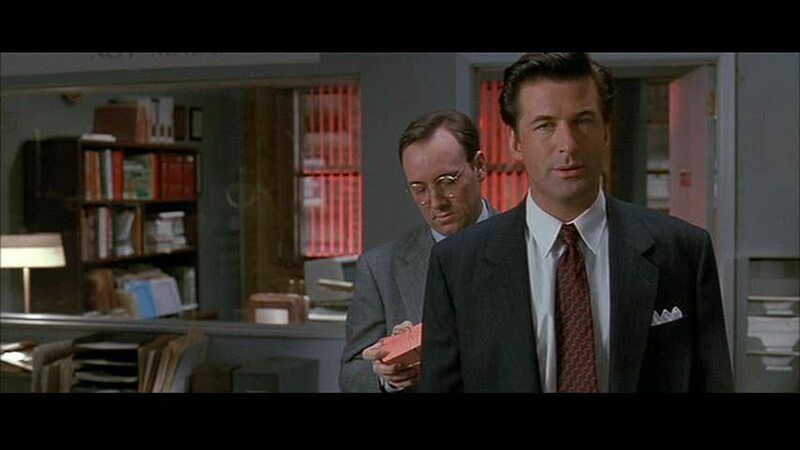 As Broadway plays were being used to fill cable telvision slots, Pulizer winner playwright David Mamet and director James Foley put together a film version of Mamet's groundbreaking play Glengarry Glen Ross. What they didn't expect was a nearly all-star cast headed by Al Pacino and Jack Lemmon willing to take drastic pay cuts to get in on the project, which immediately boosted the project to a theatrical release. But does the film close the deal or does it get third place? Our new game show where geeks square off to pitch an original movie using a preselected genre, director and actors. In our inaugural episode, Arthouse Legends Podcast Co-Hosts Jonolobster & Kent must come up with a time travel film in the style of Danny Boyle using Matthew McConaughey, Amy Adams and Bruce Dern. Who has the best plot? Would you see those movies?